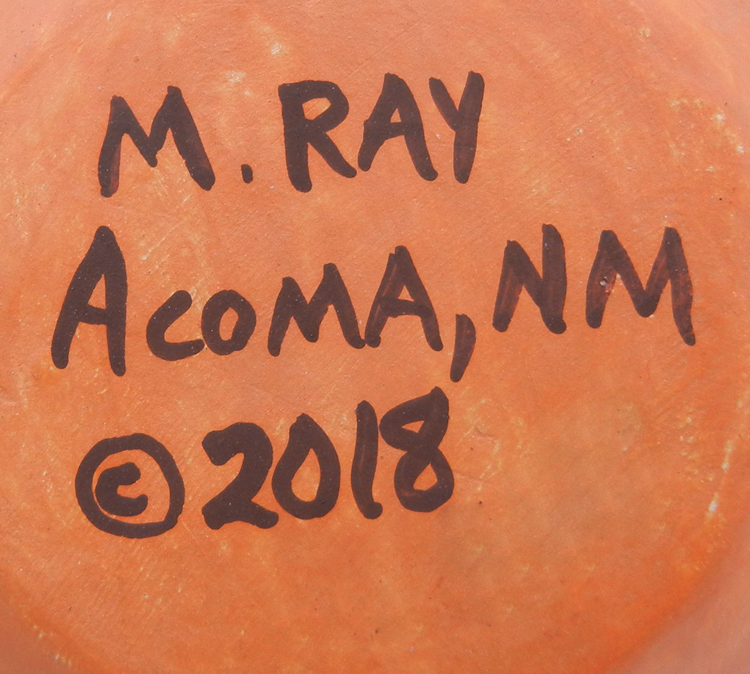 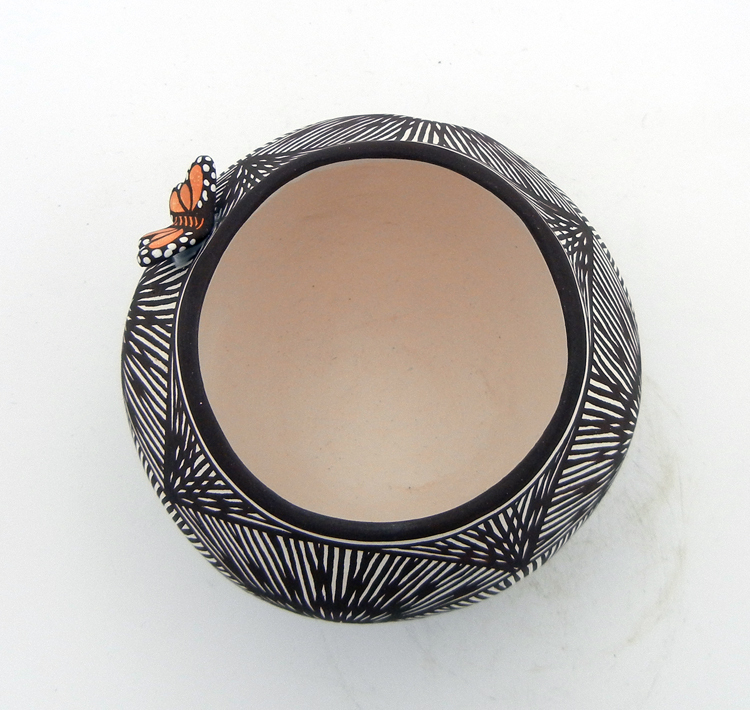 Known for her whimsical and beautifully painted figurines, Acoma potter Marilyn Ray created this adorable small jar with just a hint of her signature style. 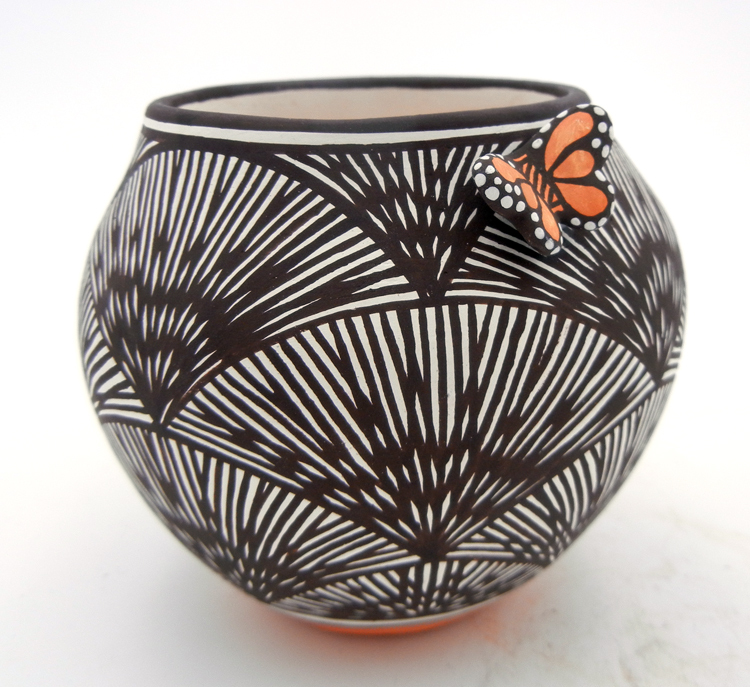 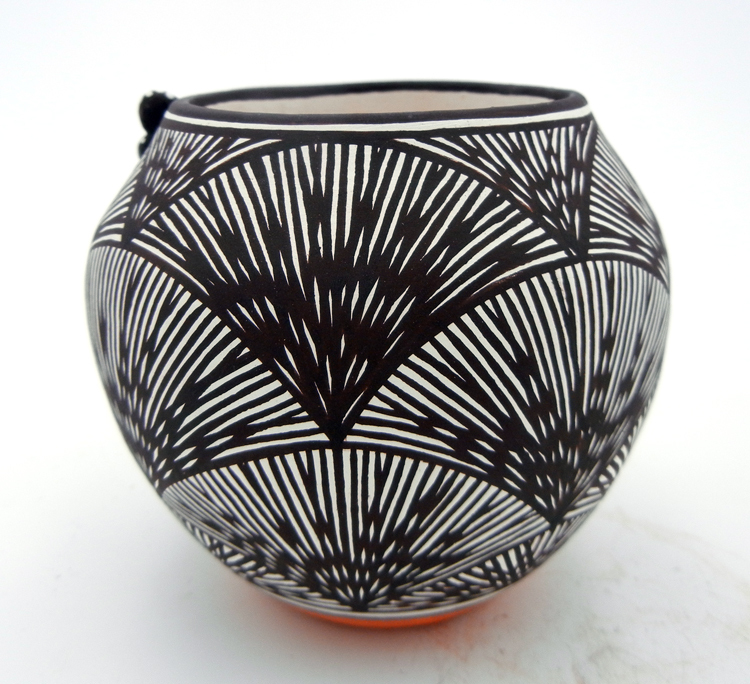 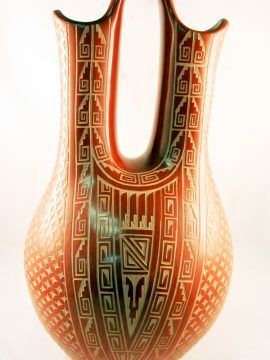 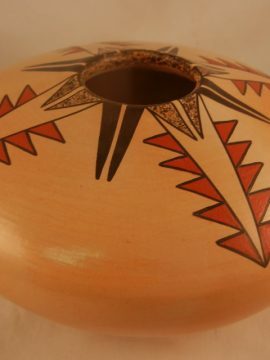 The piece, painted entirely in overlapping, black fine line designs which create shell-like designs along the body of the jar, also features a single, small butterfly attached on one side near the rim, painted in red, black and white. 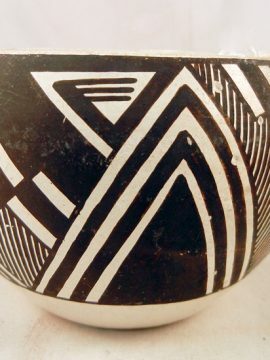 The bottom of the piece features a painted red band, while the rim is painted black. 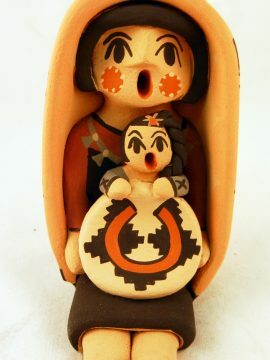 3 1/2″ tall x 4″ wide.